Take a deep breath and repeat after me. "I'm going to pass my driving test"
Being able to say things confidently feels great doesn't it? 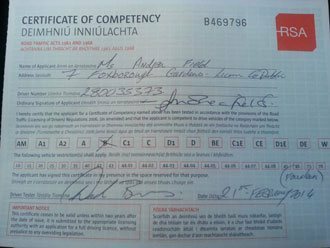 Trust us when we say that you will be able to say these words with total confidence if you choose to do you pretest driving lessons in Dublin 22 (D22) with RSA School of Motoring..
What makes us so sure of our teaching ability? Well you can imagine all you want but the reality is that most driving schools and instructors don't have this knowledge themselves so how can they share it with you? 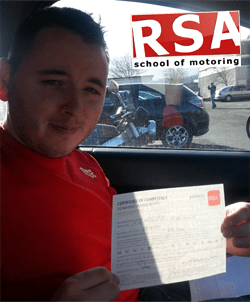 At RSA School of Motoring we have this precise information and knowledge and all of our instructors undergo continuous training in the use of our incredible pretest preparation system. Almost everyone has to finish the Road Safety Authority's Essential Driver Training Syllabus. We understand you are eager to get test ready so we specialise in getting you through the EDT training as fast as possible. 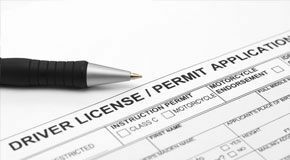 It is crucial that you remember that if your learner permit is brand new then you will need to wait 6 months before you can apply to take the driving test. When it comes to the driving test your success is our success. Passing the exam is all about obtaining the precise information to perform on the day. 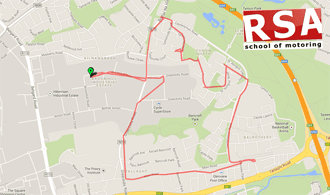 We take remedial steps focusing entirely on the areas of your driving that will hamper your chances of test success. We don't spend time on aspects of your driving that don't require improvement. This ensures you get the most benefit out of your time on lesson..
Is gear shifting giving you trouble? Our company offers driving lessons both in manual and automatic so we have you taken care of. You can begin and finish lessons at your home, school, university or workplace. We have great team of instructors right across Dublin 22 (D22). 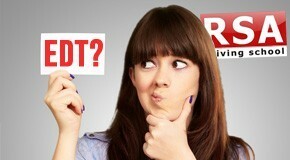 We regularly get quizzed for female instructors so don't hesitate to ask. And if for any reason you want to swap instructors it can be done to. 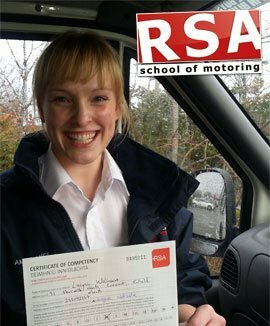 This is one of many great features of choosing a big driving school like the RSA School of Motoring. We have unique driving lesson gift vouchers for sale that you can customise online with a personal message and to suit your own budget. Did you know that motorway driving is not covered by the EDT syllabus or the driving test. Driving on motorways is much different to driving on normal roads and isn't something that is covered by the essential driver training programme or the driving test. That's why we have created our own unique motorway driving course. Not only that, if you complete your 12 EDT syllabus with us and pass your driving test we will provide you with a motorway driving lesson FREE! There are so many things to consider when looking for the right driving instructor? Many of our students tell us they looked for a driving school by doing online searches for 'driving lessons Dublin 22 (D22)' or 'Pretest lessons in Dublin 22 (D22)'. The search results are overwhelming...dozens of websites competing for attention with shiny logos, impressive gimmicks and all sorts of attention-grabbing designs. But for our students and many others, our site stands out not because of slick web design but because of our testimonials. These are stories from past students who took our driving lessons and aced the test. Our success has nothing to do with luck! You've likely seen our driving school cars more and more often and seen us in the local press. Local papers have taken an interest in our success, our Facebook popularity grows by the minute, and our website happens to be a popular spot as well. That's because a good thing is something to talk about... Our sole mission is to help people pass the driving test which in turn we hope gives people greater opportunities in life. Everyone wants to share good news about passing their test and the people who helped them get there.